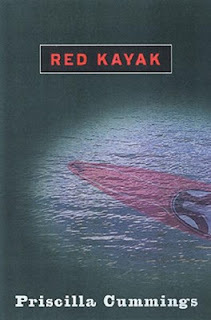 The Broke and the Bookish : Tahleen reviews: "Red Kayak"
Where I Got It: I found this on the Summer Reading shelf for one of the local schools at my local library. Why I Read It: It looked interesting, and I'm always interested in finding more books I can suggest for boys. Plus, since it's a summer reading selection, I figured there must be something to it. One cold and stormy April day, 13-year-old Brady is called to help on a rescue mission—his neighbors, Mrs. DiAngelo and her 3-year-old son Ben, go missing after going out on their new red kayak. After some searching, the rescue team manages to find Mrs. DiAngelo, but Brady is the one who finally finds Ben, not breathing and so cold his lips are blue. He manages to keep him alive until he makes it to the paramedics, but it looks grim. At first hailed as a hero, things quickly turn around for Brady when the child dies. Wracked with guilt for not being able to save him, and for not yelling out to the DiAngelos the morning of the accident when he and his two best friends saw the kayak in the water, he is at first unable to grieve properly and move on, but eventually finds a little peace when he begins to help Mrs. DiAngelo with yard work and odd jobs. However, a terrible discovery leads Brady to make one difficult and life-altering decision. At its heart, this crime drama is about grief, guilt, and, more subtly, forgiveness and acceptance. Brady really struggles with the decisions he must make, as he knows they'll not only affect him, but everyone close to him. It's obvious what the "right thing" to do is, but it's so layered and complex that even I had a tough time deciding what I thought he should do. For younger readers, this will really challenge them to think about how they would act in the same sort of situation. The pacing started off really well, with the first chapter consisting of Brady looking back on the events to unfold in the novel and wondering a series of "what ifs" that would have led to a different outcome. He doesn't reveal anything, and only as the story progresses do we see what his musings are all about. Though there are parts in the middle that kind of drag, which can be especially frustrating for reluctant readers, there are twists placed strategically throughout the book that keep the interest there. My problem with the book was with the language. It was written in the vernacular, which in itself wasn't too bad, but there were times when it just got distracting for me. I really didn't like Brady's voice much either; at one point he uses the phrase "gee whiz," which never wins points with me unless it's used ironically, and unnecessary exclamation points abound. It just didn't seem very real to me; Cummings didn't pull off the teen male perspective very well, and I had trouble believing any teen would speak the way Brady does. He also tends to throw in boating jargon, which really affected the pacing in the all-important rescue scene. 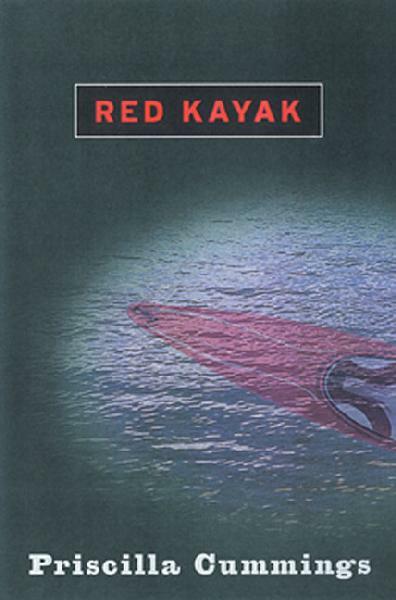 Despite my minor beef with the narration and lagging bits in the middle, Red Kayak still has a lot of merit as far as themes are concerned. As I mentioned before, doing what's right is huge here, but the more subtle issue of forgiveness shines through in the end. I have to admit, I teared up during the final scenes--very touching. This would be a decent choice to give to boys, though older teens might get bored with it because of the age of the main character and tone--it just sounds like it was meant for a younger audience. I would think it would be good for ages 12 to 15, or around there. And of course, girls would enjoy this just as much--the only reason I am focusing on boys here is that it can be difficult to find things they'd be interested in! I've never heard of this book! It sounds pretty interesting. I feel it is probably pretty hard to find good books for boys! I feel like girls have it so much easier to find great books. I've never heard of this book, either, and I have to agree with what Jamie says about it being easier to find books for girls. I remember growing up I read books about boys, as well as girls, but I know my brothers would never be caught dead reading a "girly" book. I'd never heard of it either, but it sounds really interesting. You make me wonder what it is Brady discovers about the DiAngelos! I had never heard of it before I saw it at the library, either. Apparently it's on my hometown's middle school's summer reading list. I've noticed in bookstores the young adult books are geared more towards girls. My brother usually reads graphic novels, fantasy books and classics. He was a huge Harry Potter fan (but grew out of it). Julia, I remember hearing that too. I also just recently found out that S.E. Hinton is a woman; she used her initials for the same reason. You know, I believe it. If I ever wrote awesome non-gender specific young adult books (in that distant world) I would probably just tack on an "n" to the end of my name. And then think of an awesome last name to counteract the Polish unpronounceability of my current. Kelly's Review of "The Reader"
Julia Reviews "The Spymaster's Lady"
Top Ten Tuesday--some weekly fun!